We have just heard that the Polish employee who miraculously filmed the Kouachi brothers getaway, has been fired by his employer and has since vanished. 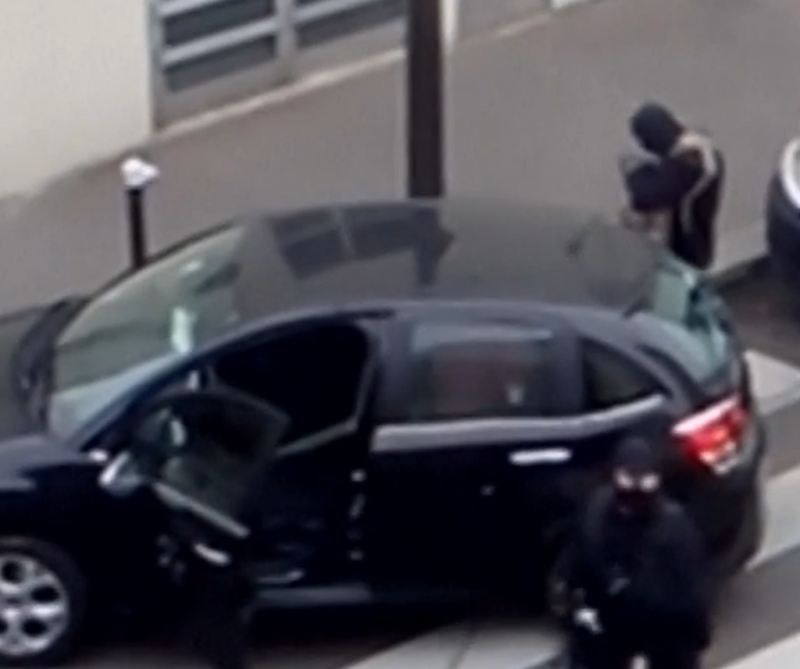 Panamza in France has been investigating the video and the video taker and has unearthed yet more fascinating facts surrounding the attack on Charlie Hebdo. Facts that must be taken into account and added to the ever increasing mountain of evidence against the official version of events. Tuesday, 13th January, Reuters (anglo-canadian news agency) released a “scoop”. The first video images of the Charlie Hebdo terrorists as they vindicated their crime in the name of the Prophet Mohammed. In other words, it was a full 6 days after the attack that this video was released and then relayed by the majority of main stream media outlets. First anomaly: Unlike Journalist Marin Boudot who filmed the getaway from the roof of Charlie Hebdo, the video maker did not profit from his knowledge to make the tour of the media outlets to sell his story. Even more extraordinary, not one single media journalist made an effort to determine his identity. In this image the video maker is clearly seen on the roof to the left of the image. This image was circulated by all mainstream media as THE image of the getaway yet nobody thought to contact or interview this man seen very clearly with his companion on the roof overlooking the action below. 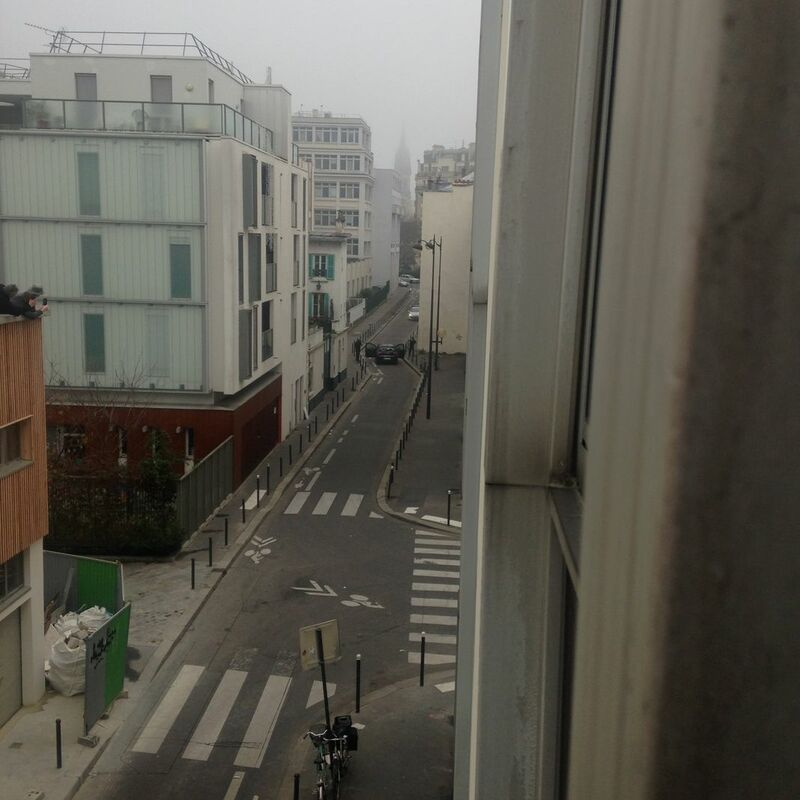 He is also seen very clearly, with his companion, in the video taken by Martin Boudot from the roof of Charlie Hebdo. 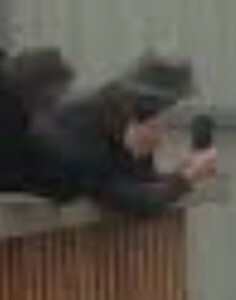 Perhaps even more shocking is that despite the very real danger to himself, the video taker keeps filming during the shoot out between the terrorists and the police. He continues filming, almost reveling in the situation from the audio…almost as if he knows he is not in danger despite the shooting. Panamza continued their investigation and one of the first things they discoverd was that the terrace the video maker filmed from did not exist last summer. The following image was taken from Google Earth and showed the area August 2014 when this area was no more than a building site. 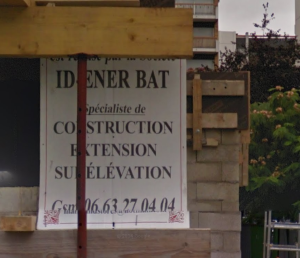 A close up of the building details, shows that the work was being carried out by a company called Id-Iner-Bat run by David Dahan and created in 2011. Panamza contacted Mr Dahan who was very reluctant to speak about the incident. He suggested that Panamza contact the owner, Mr Geoffroy who was rather more expressive. He was happy to tell Panamza that he had fired the employee in question, after he had discovered that he had sold the video to Reuters. For him, it was a breach of contract as the film had been taken from his rooftop and was taken during work hours! Mr Geoffroy also admitted that he had met with his POLISH worker the same day at 36 Quai des Orfevres to restore the entire video which was certainly longer than the edit shown by Reuters. He also expressed his concern at the circulation of the video, particularly on the internet as this would add to the confusion. When questioned about his company Id Iner Bat and its involvement in the building work, Mr Geoffroy eluded the questions and stated that the work was now being carried out by another company. He failed to name this company but he did say the works were almost finished. When questioned about the “sang-froid” of his employee when faced with armed & hooded “terrorists”, he said it was perfectly normal as the employee thought it was a straightforward robbery that had been committed! Therefore, it appears impossible to contact the video taker. This is a great shame. Despite being accused of circulating the video..this mysterious individual did not take advantage of his witnessing the crime of the century in Paris by selling his story to all the media outlets. One thing is certain and is very important to note. 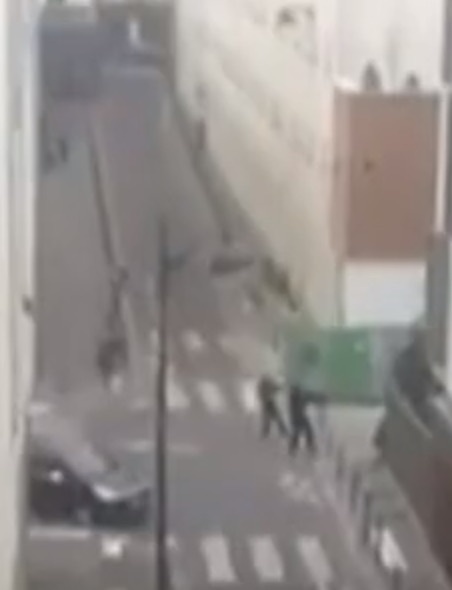 If Martin Boudot had not had the presence of mind to use his smartphone to film the protagonists from the Charlie Hebdo roof, the film taken by this Polish worker would have been the ONLY video evidence of their movements that day. We can therefore assume that if this had been the case, it would have been circulated much faster to present the image of the attackers as extremist Islamists avenging their Prophet Mohammed. What a fortuitous coincidence that this worker just happened to be perfectly placed on a balcony that did not exist before the end of 2014 and that he had a smartphone with very good audio equipment sufficient to capture very clearly the statement of the Kouachi brothers that they were avenging their Prophet Mohammed. It does not explain however, why when one of the Kouachi brothers very clearly looks directly at the video taker he continues filming, nor why the Kouachi brother does not kill him as witness to their crimes unless that testimony is required to strengthen the official narrative. These attackers would have been pumped up from their killing spree, why would they spare a witness and why once they realise they are being filmed would they take their time to get into the car? Once again, no conclusions are being drawn. The clues are there, it is our job to collate them in such a fashion as to enable everyone to realise the truth is not as portrayed by the mainstream media and their masters. ← Charlie Hebdo, the Gaping Holes in the Official Version.